just choose the length you'd like. then choose the colour or choose custom for a multi coloured yarn of your choice. more photos of colours being added soon or if you have a colour you'd like me to match let me know. 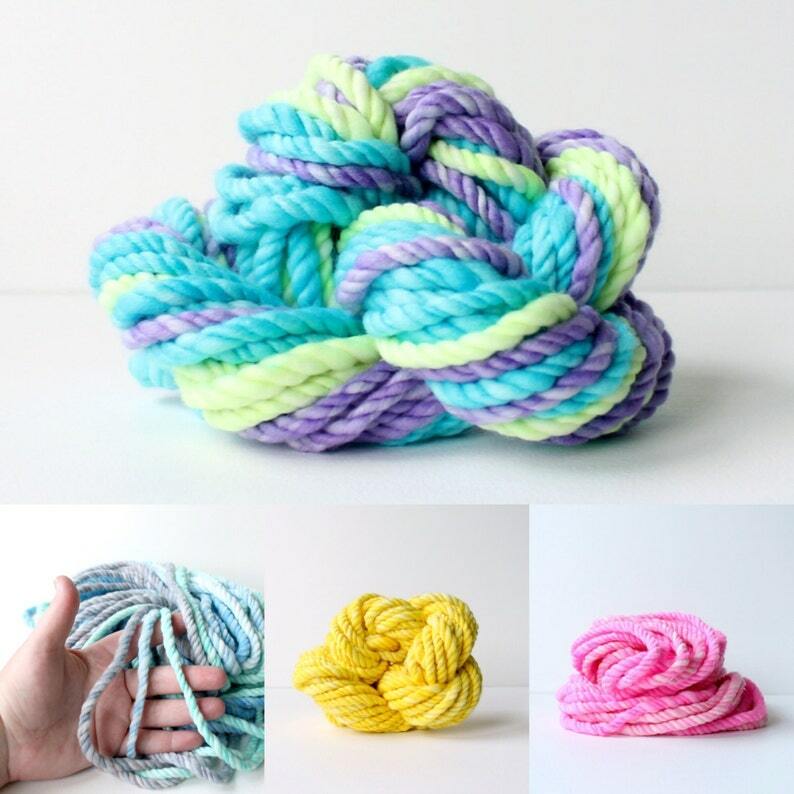 this is a 3 ply, n-ply yarn. slightly thick and thin. super soft 17.5 - 19.5 micron australian merino wool. **not dyed a solid colour but semi solid. so you get various shades throughout.